If cyclists use a navigation program, they must normally take a look at the device and thus take their eyes off the road. Smart and Safety Bicycle tries to avoid this. 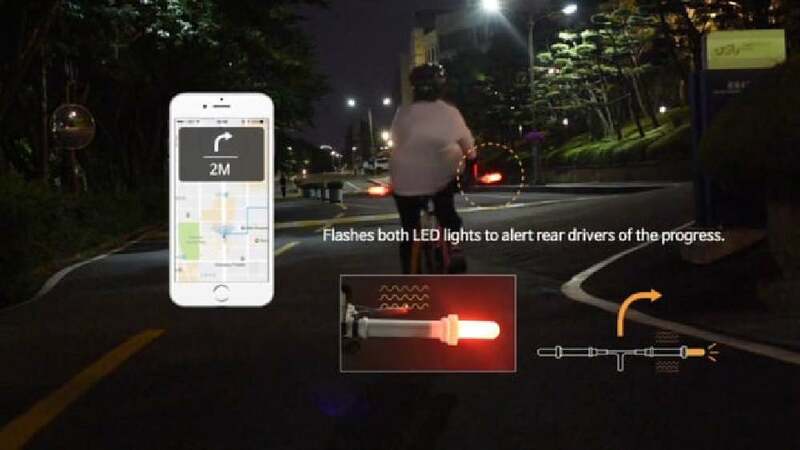 The system uses Bluetooth to connect a navigation program of a smartphone with vibration sensors and LEDs which are attached to the handlebars. If a change of direction is needed, the cyclist is informed by vibration of the respective handlebar grip. At the same time, the LED lights up on the corresponding side, thus indicating the change of direction to following vehicles.